Do you feel like your kitchen needs some attention at the moment? Would you like to renovate your cooking and food preparation space to ensure it looks fantastic and functions as it should? Then you’ve come to the right place today because this in-depth article will help to draw your attention towards some of the ways in which you could achieve that goal. Use this post as the starting point for your research, and continue looking for more suggestions once you leave this site. That is the best way to guarantee you leave no stone unturned and use your budget to its full potential. When all’s said and done; you’re going to feel pretty annoyed if you overlook something vital and run out of money before you realize. So, read this article and include the tips in your plan! There are a couple of ways in which you could increase the amount of natural light in your kitchen space. It all depends on how much you’re willing to spend, and the size and shape of your home. In most instances, it is sensible to consider knocking some of the exterior wall away and installing some patio doors. That is an excellent move because it should ensure you get lots of sun rays coming into your kitchen, and you can also open the doors when you’re cooking to prevent smoke or unwanted smells. Of course, you need to get in touch with professionals if you want patio doors because installation on your own could become quite dangerous. Still, the job should not break the bank, and there are plenty of experts in your hometown you could call. Your cooker and fridge are the two most used items in your functional kitchen, and so it makes sense to replace them during your renovation job. Make sure you remember that old fridges contain harmful gasses, and so you need to dispose of them correctly to ensure you don’t damage the environment or get into trouble. With that in mind, it makes sense to call professionals and pay them to take the item away. If you need to find the best deal on a new fridge or cooker, make sure you search online because it is possible to get whatever you need at knockdown prices. Ensure you get the installation people to hook your stove up because you don’t want to mess around with gas unless you know what you’re doing. 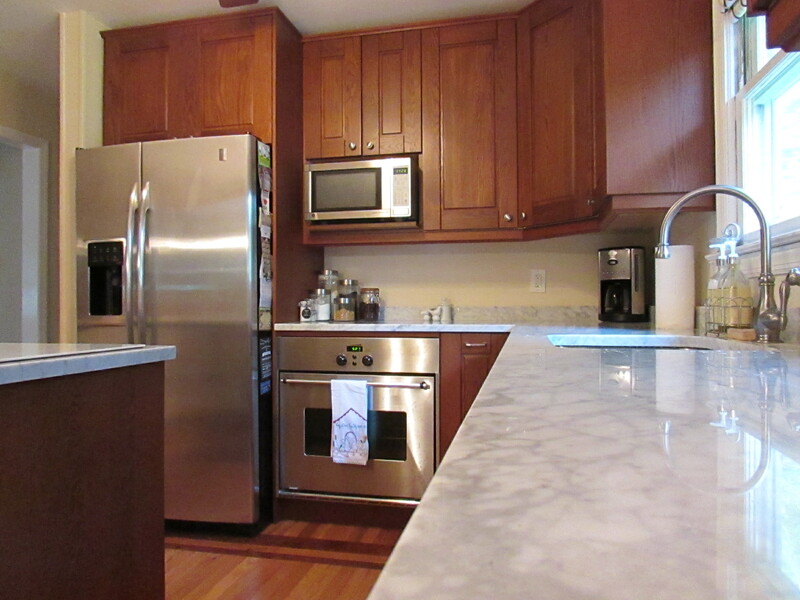 Your kitchen will begin to look better almost instantly! 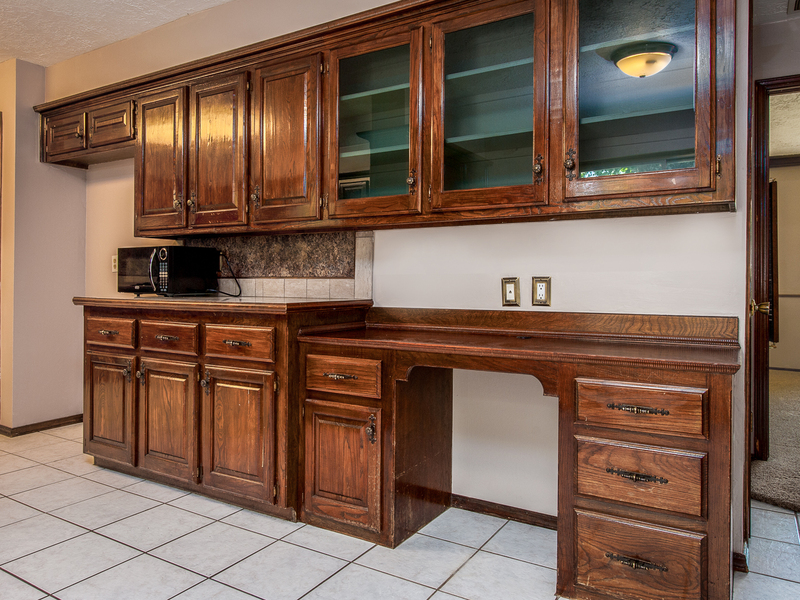 There are lots of ways in which you could add something special to your kitchen, but the most sensible involves replacing the countertops. 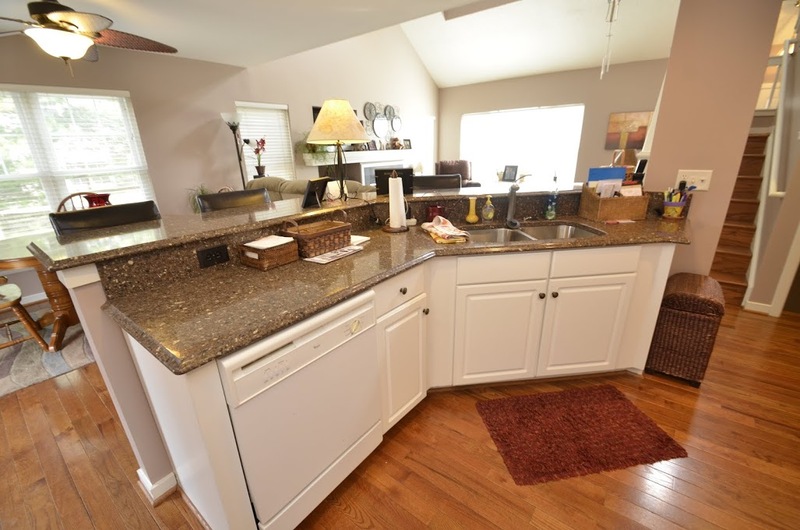 If you need to keep costs down; you can replace the countertops without replacing the entire units. However, you might want to sand them down and add a fresh coat of something. Search online for the most beautiful countertops you can find, take some measurements, and then get in touch with your chosen brand. Let them know the sizes you require, and those people should come back to you with a quote. Again, you’re going to need professional help when it comes to installing the countertops because granite and marble are both heavy stones. Lots of people renovating their kitchens this year will choose to take a look at some of the latest technology. New gadgets reach the market every day, and so there are lots of things you could purchase for your cooking space. 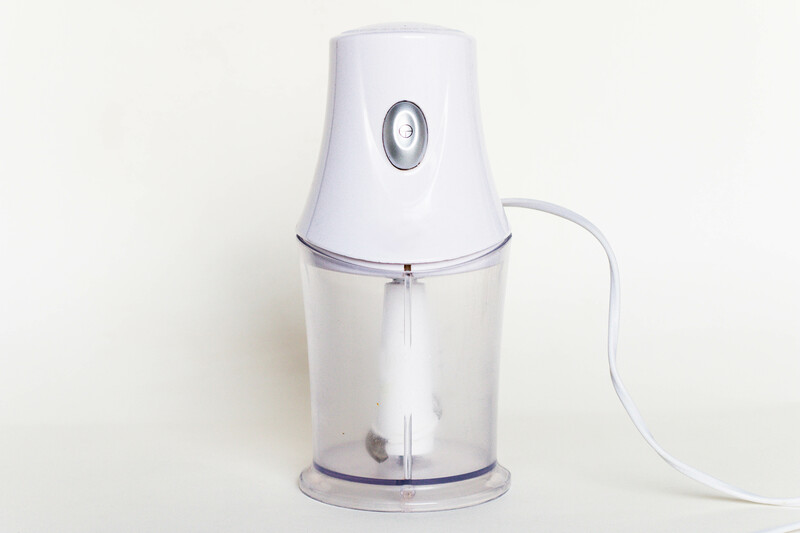 For instance, lots of people have blenders and smoothie makers these days. They can help to ensure your family always has access to fresh fruit drinks among other things. However, you might like to go a step further and invest in remote dimmer switches, intelligent cooking tools, and more. Search Google for something like “latest kitchen tech,” and then take a look at some of the products and websites listed on the first page. You are sure to see something that tickles your fancy. Lots of people argue about the best flooring solution for kitchens. We can all agree that carper is not a wise move. It will become greasy and dirty in a matter of days, and it is going to make the entire room smell of cooking 24/7. With that in mind, you might be tempted to consider laminate flooring. However, with so many temperature changes in the space every day, there is a reasonable chance the wood will warp or become damaged by condensation at some point. Thus, the best option on the table is always to lay some new flooring tiles. You can get them online or from your local kitchen specialist, and that solution should last for many years if you clean the tiles and keep them in excellent condition. 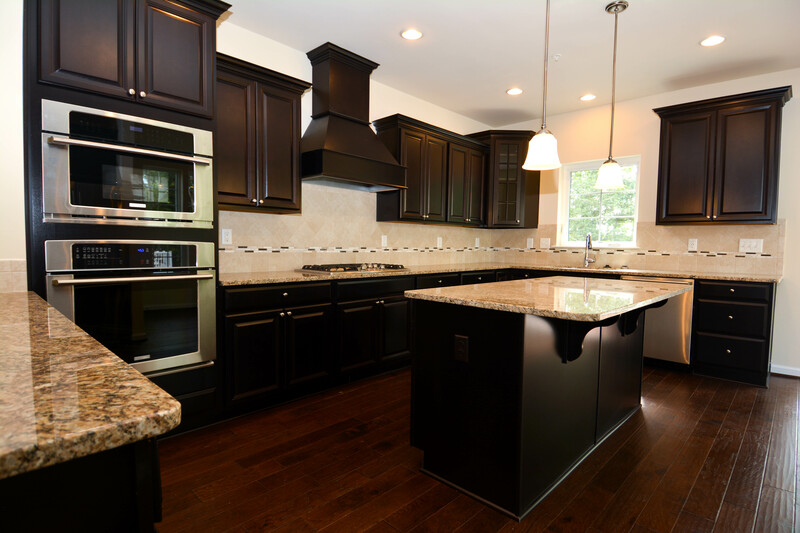 When it comes to choosing colors for your kitchen, make sure you avoid deep and dark shades because they will not work in your favor. 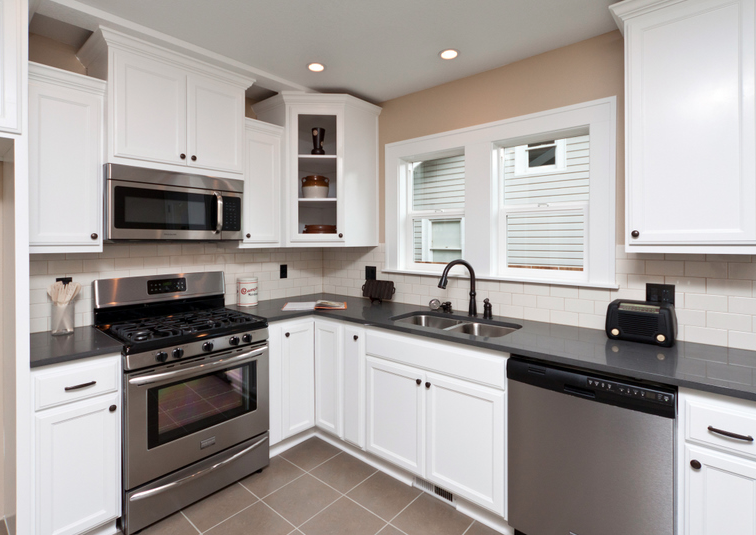 You need to make sure your cooking space looks as clean, bright, and open as possible. So, think about light yellows, greys, blues, and greens for the best outcomes. Also, make sure you purchase the correct type of paint for the job. When you visit your local home store; they should have a section for kitchen paint. Get that because anything else could begin to deteriorate within only a few months due to the adverse conditions in your kitchen. However, paint specifically made for the job should last many years if you manage to convince the kids to keep their dirty hands off the walls. Of course, those of you who don’t like the idea of messing around with paint can call professional decorators and ask them to undertake the job on your behalf. You always need a lot of storage in your kitchen, and so you probably have lots of drawers and cupboards. However, you might also choose to create some hidden storage space where you can keep even more utensils and essentials. How you go about achieving that goal is down to you. However, lots of people choose to build breakfast bars or something similar. They are perfect for storage because they sit in the middle of the room and every side is exposed. So, you could add some extra drawers or cupboards where people put their knees when eating at the table. Nobody will notice, and you can keep a lot more stuff in your kitchen without making it look untidy or messy. Many years ago, people who built houses used to include a serving hatch in the wall between the kitchen and the lounge. That made it easy for the person cooking the food to deliver it to their family without having to remove their apron or walk into a different room. Those serving hatches are making a comeback at the moment, and lots of people are cutting them in the walls of their homes today. Perhaps that is something you would like to try? It would stop the kids coming into the kitchen every two minutes to ask whether or not their dinner is ready, and it will also ensure you can serve piping hot meals without risking dropping them on your hallway carpets during transit. The job should only take a couple of hours, and anyone can do it with the correct tools. Lighting is everything in your kitchen, and so you need to think long and hard about your approach. Painting the walls in light colors helps to keep your space looking as large and fresh as possible. However, your approach to lighting will determine whether or not you pull off that goal. Lots of people choose strip lighting for their kitchens because that solution helps to ensure an even spread across the room. However, you can also get spotlights than tend to work well. All the final decisions are down to you. Just make sure you take a decent look at the market and ensure you leave no stone unturned. Adding some under-cupboard lights is also wise because that can help to ensure your kitchen looks fantastic and you can prepare snacks on the side without using the main light. You should now have some excellent ideas that will help you to get the kitchen you always wanted. 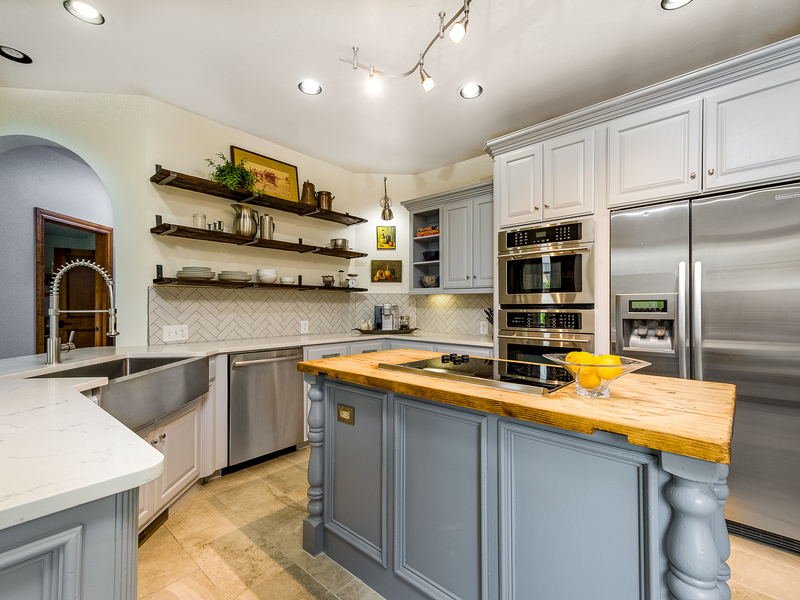 Regardless of whether you plan to remain in the house for many years or you want to sell it at some point in the future, renovating your kitchen is always sensible. It will add value to the property and make it more appealing to buyers. So, you shouldn’t struggle when it comes to getting some decent offers. 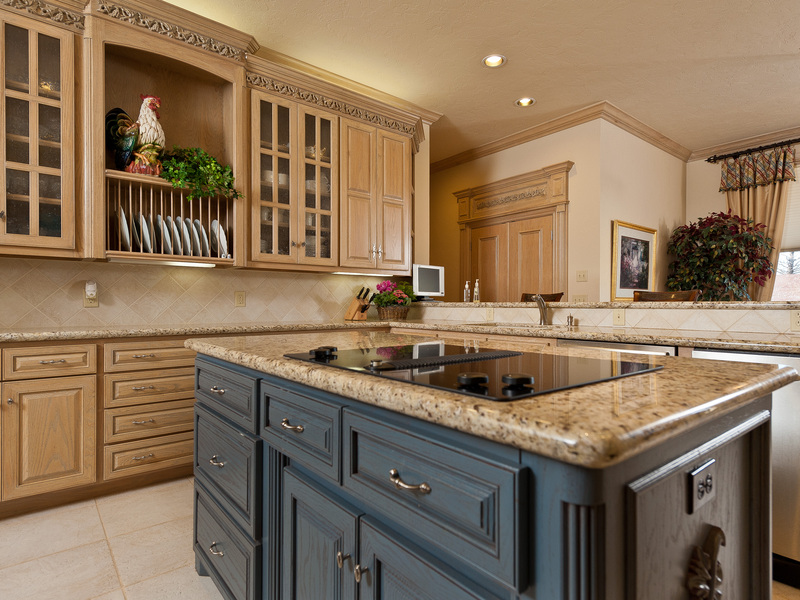 Improving the kitchen if you don’t want to relocate is vital because you will feel happier when you have a home that caters to your every need and looks fantastic. Good luck! This entry was posted in Household Hints, Housing. Bookmark the permalink. ← Driving When Depressed: Should We Do It?